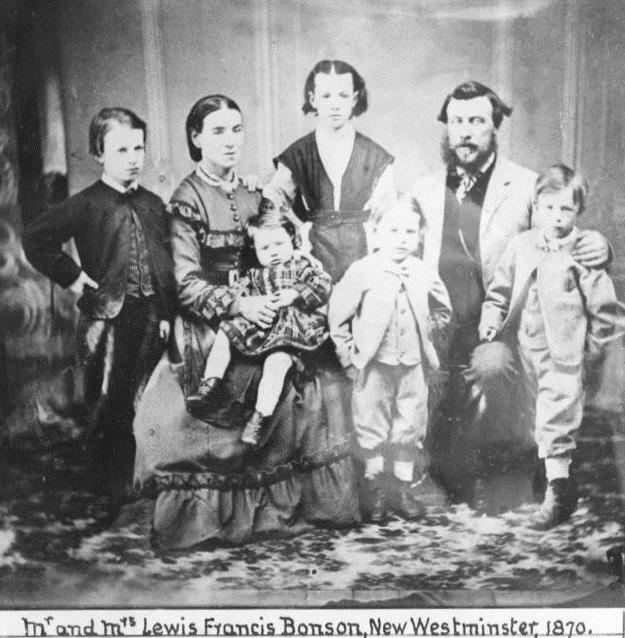 The Lewis Bonson family was among the first to settle in the Maple Ridge area when it included Pitt Meadows. Now a separate city, Pitt Meadows was a part of Maple Ridge from 1874 to 1896. Wellington J Harris, who made his home in Pitt Meadows, was the first Reeve of the incorporated municipality. The earliest settlers in Pitt Meadows were Royal Engineers who had been discharged in New Westminster in 1863. The next batch of settlers arrived in reaction to news of the impending start to the Canadian Pacific Railway with Wellington J. Harris being part of that group. Pitt Meadows was attractive due to its agricultural potential and its proximity to New Westminster but its drawbacks were also very clear. It was low-lying and marshy and a great deal of work in the form of dyke-building needed to be done. Heroic efforts – first utterly by hand and later with steam powered dredges – and with very little assistance from any level of government, produced the first dykes in the region. The dykes produced by 1894 were insufficient to hold back the floods of that year. Hundred-year flood levels easily over-topped the dykes and destroyed them completely. The devastated farmers decided that they would likely get more attention and assistance from the provincial government as an unincorporated district and in 1896, Pitt Meadows formally seceded from Maple Ridge. It was not until 1914 that Pitt Meadows was incorporated as a municipality in its own right.